So, you’ve made the decision to buy in Austin. You’ve seen the crazy rental rates and looked at your options and have decided to try out homeownership. Congrats! With the history of growth in the city, combined with quickly appreciating housing, you’ve probably made a wise financial decision. Well, maybe…where are the best Austin areas to buy? For certain central Austin zip codes, appreciation may be slowing or hit a peak. Another dilemma millennials face are housing costs. It’s expensive in certain central zip codes and they can’t afford to buy. I’m going to discuss the 2 areas in central Austin (Northeast & Southeast) that are your best bet if you plan on buying in the next year, and the reasons why. It’s no secret that North Austin has been a hub for many of the larger startup and tech companies. North Austin is a safe bet because of this. The Mueller community is one reason I would suggest buying in the Northeast area. Being near the Mueller community makes Northeast Austin a good choice because what I find that most Austinites want is walkability. This community includes shops, restaurants, 140 acres of parks, food trucks, and other attractions. In the past, houses for sale were mainly marketed to buyers with ads that read, “only 10 minutes from Downtown!”. Now homes are also advertised as “only 10 minutes to Mueller”. It’s quickly becoming a go-to area for many Austin residents. Besides Mueller, there is another mixed-use project in the area that’s under construction; Highland Mall redevelopment. Austin Community College (ACC) and their development partner have huge plans for this project that includes not only students, but Austin residents as well. There are plans to turn the former Highland Mall into a unique mix of living, work and education space. Developers are investing a lot of money into this area, and homes in Northeast Austin have not reached their peak in appreciation yet. 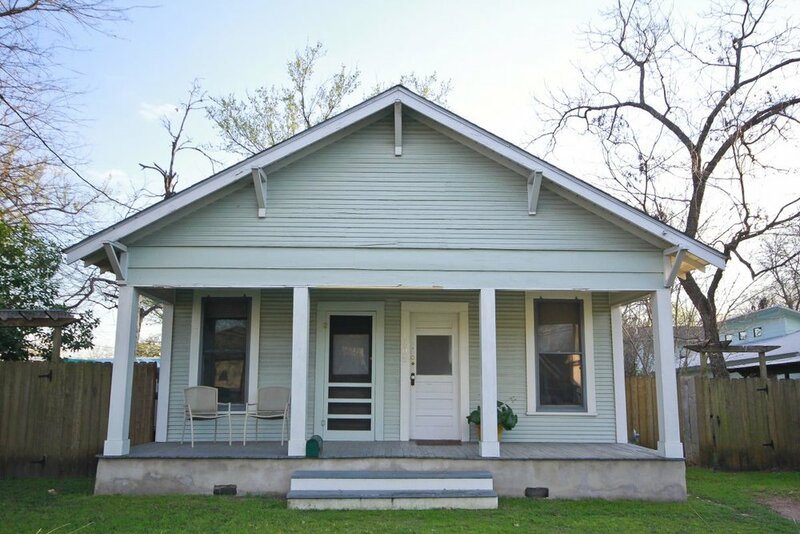 If you work in North Austin or Central Austin and are looking to buy, it may be a beneficial for you to invest in property around these 2 developing communities. In the past, people have been hesitant about Southeast Austin. Areas around Riverside haven’t always had the best reputation. BUT It’s so close to downtown! Neighborhoods that are close to downtown have a greater chance of appreciating and keeping their value. This has a lot to do with Austin millennials wanting to be close to work, and fun downtown amenities. Those who aren’t too familiar with the city, or Austin real estate in general, are still a little hesitant about the area. This stigma is bound to change quickly due to Austin’s increasing growth. Southeast Austin is a pocket very close to downtown that still has a lot of appreciation potential. The St. Elmo Public Market will renovate an existing 45,000 square-foot warehouse into a mixed use market, and is expected to be completed by 2018. It will include creative office spaces, condos, entertainment venues and a hotel, which will contribute the the growth and development of surrounding areas in Southeast Austin. By now, you may see a pattern in Austin. People don’t want to drive in the increasing Austin traffic. Because of this demand, mixed-use developments are beginning to become very popular. These communities have everything that people want; walkability to the entertainment, restaurants and bars they love. 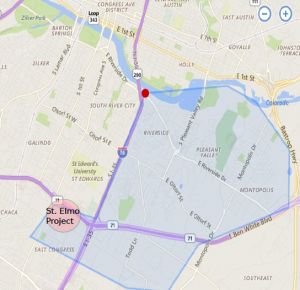 The St. Elmo project will add value to Southeast Austin and surrounding neighborhoods. Homes have appreciated an average of 10% per year in the past 5 years. So, although the project won’t be done until 2018, it’s in your best interest to look into this area sooner than later. The Bottom Line: Research where the “mixed-use projects” are being built, and invest around these areas!